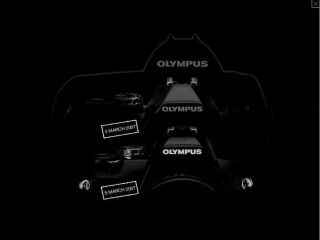 New Olympus SLRs coming on 5 March? Olympus has posted a teaser ad on its European website, potentially promising the launch of one or more digital SLR cameras on Monday. There's no further information, other than an image outlining three camera silhouettes with a tag saying "5th March 2007". The implication is that Olympus could be about to launch at least two, or even a range, of high-end cameras. No details exist as to whether the cameras will be entry-level dSLR models, or aimed at the professional photography market, like Canon's newly launched EOS-1D Mark III camera . As soon as we get any updates on the new Olympus launches we'll post more information.